People who are involved in the ownership of the business, but are not family members and not involved in the conduct of the business. Family members who have no ownership in the business and who do not work in the business. People that work in the business, but they are not owners or family members. People that are family members who have an ownership, but are not employed by the business. People who have ownership and who work in the business, but are not family members. Family members who work in the business, but have no ownership rights in the legal business entity. Family members who have ownership rights and also work in the business. Others that have an interest in the business, who are not family members, have no ownership rights and do not work in the business, but have an interest in the business. How do you get everyone to agree? 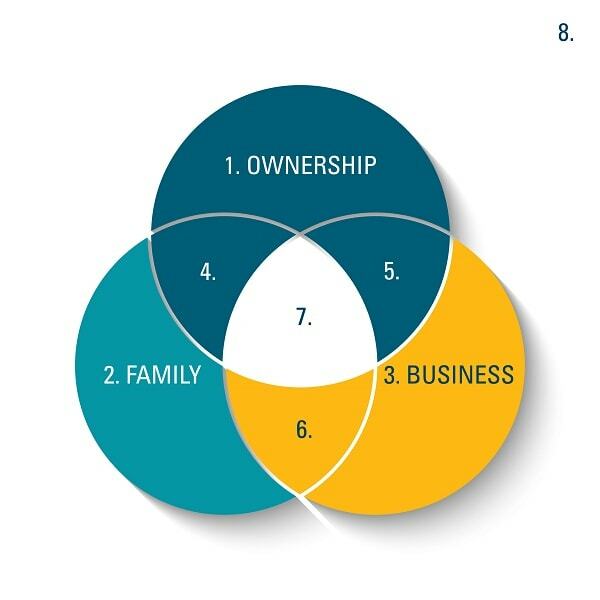 HLB Mann Judd’s family business advisors give consideration to the different, but overlapping systems. We have been working with family businesses for over 50 years and the firm has been proudly associated with Family Business Australia for nearly two decades. With the experience of our Family Business Australia Accredited Advisers, we are small enough to take the time to really understand your specific needs, and yet big enough to provide exceptional advice to family owned and operated businesses. You can count on our experience to provide objective advice, to mediate solutions to dispute areas, and facilitate growth to a “professionalised” structure and business operation. Go to our Family Business page to learn more and meet our experienced professionals.